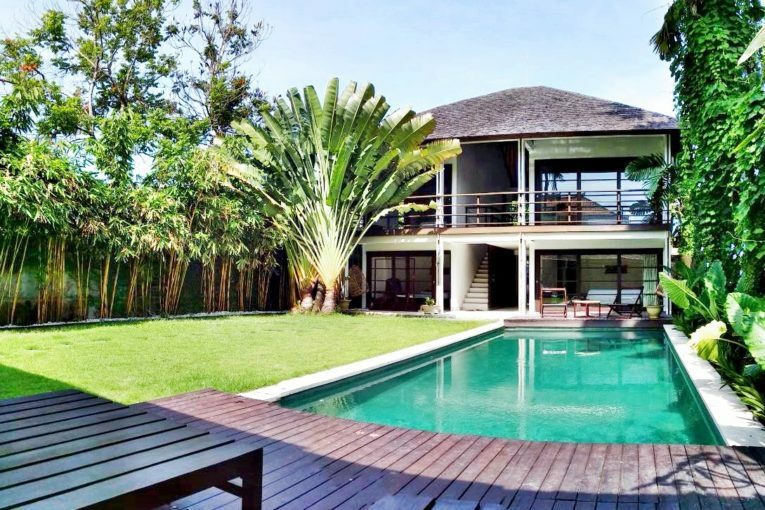 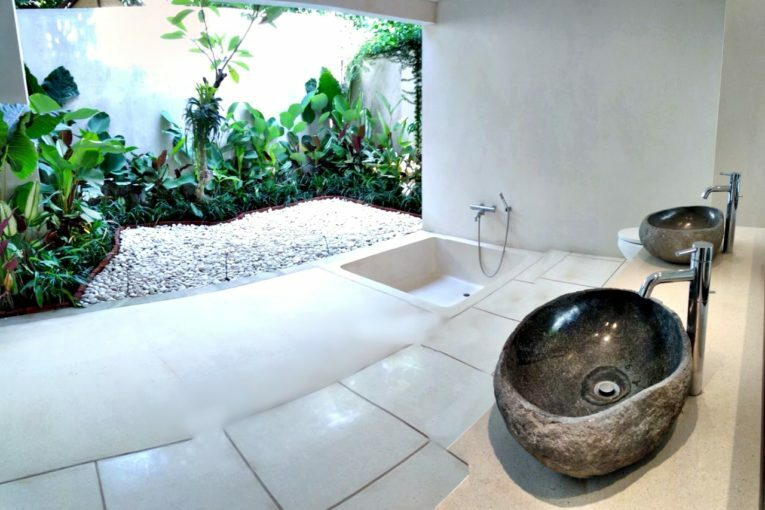 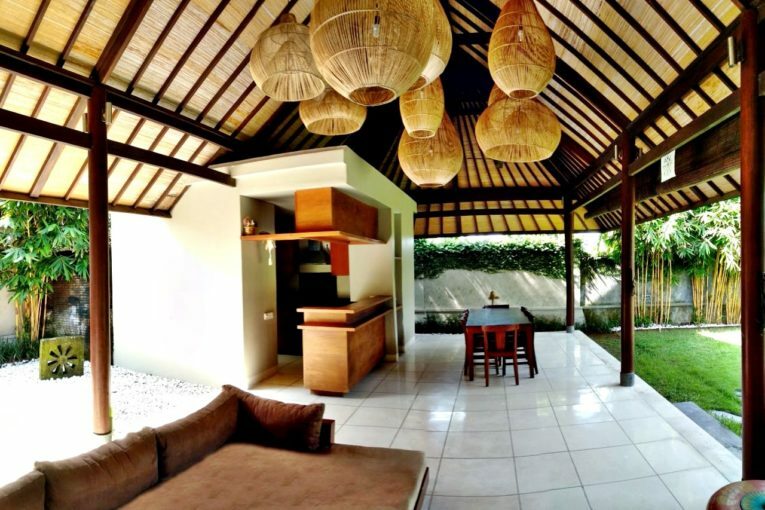 This villa is located in Pererenan and is around 30 minutes drive to Seminyak. 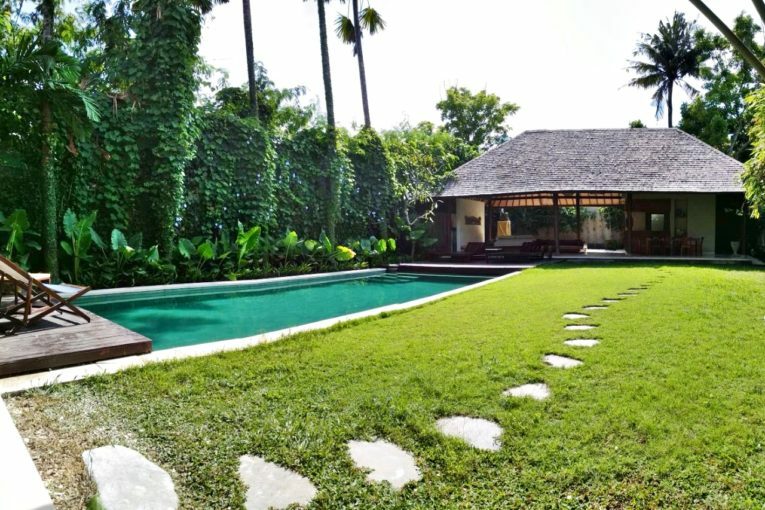 The property offers comfortable living in the middle of a calm village, but still within easy reach to the township. 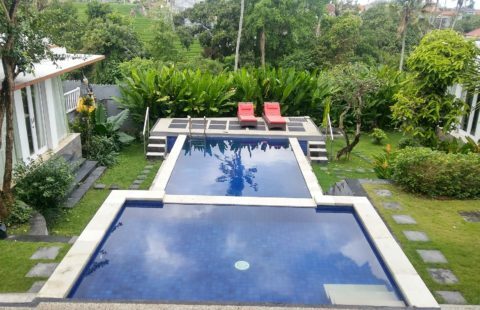 The surrounding area shows the real Bali, maintaining a cultural and traditional atmosphere, with beautiful surf beaches, fresh air from the sea and no traffic jams. 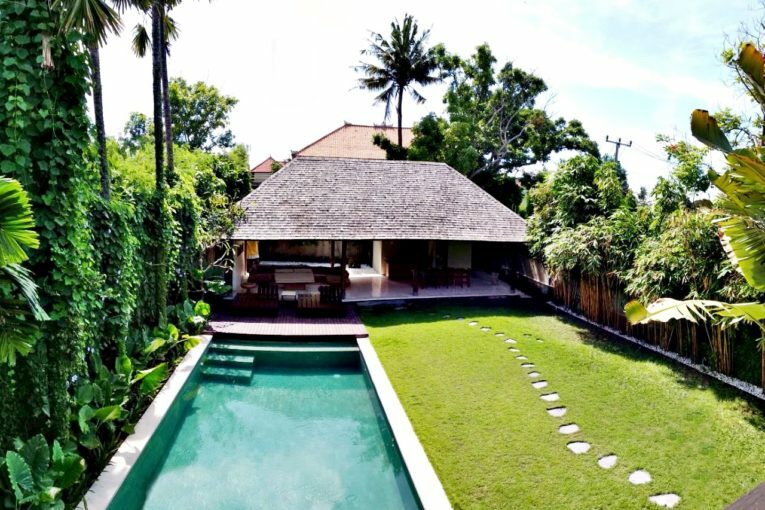 The beach in Pererenan is famous for the powerful waves that make it a favorite surf spot in Bali, attracting people from all over the world. 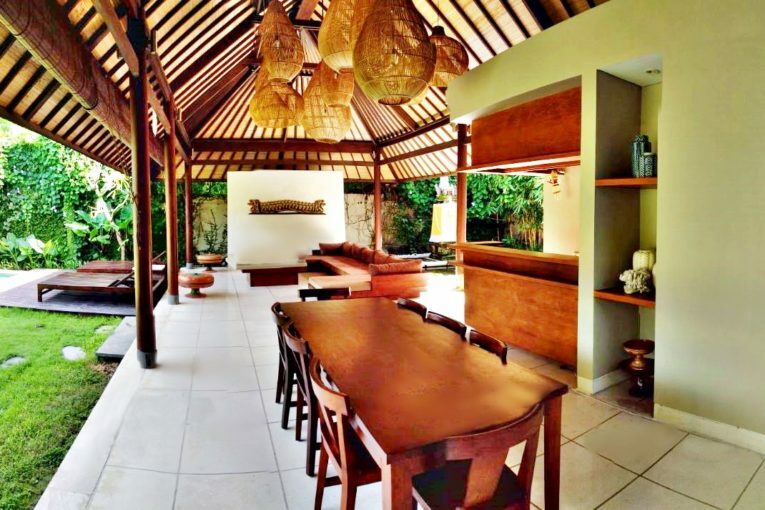 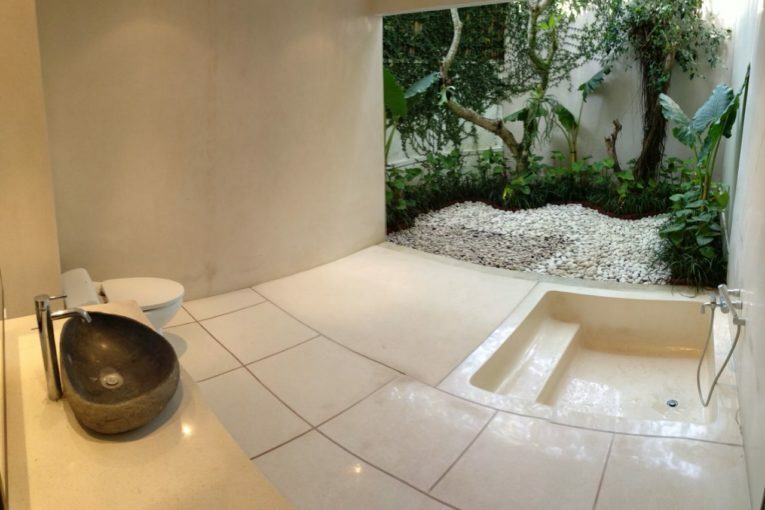 The villa itself is built on 650 square meters of land and has a spacious garden. 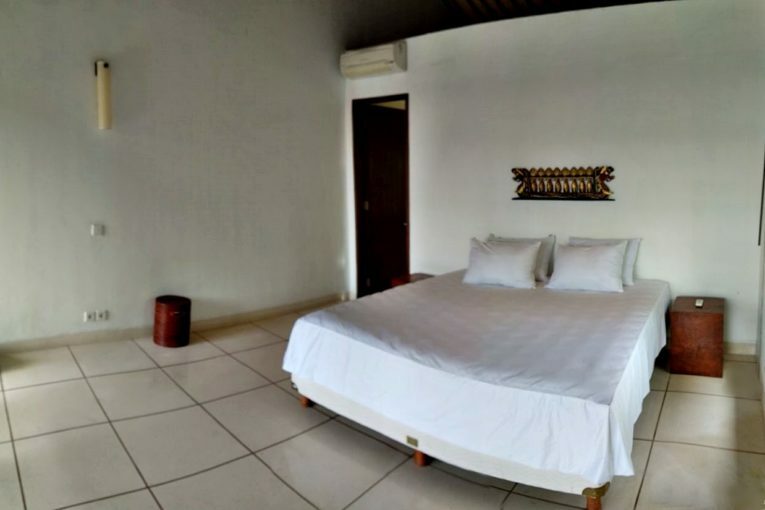 You will find all the 4 ensuite bedrooms located in the main building. 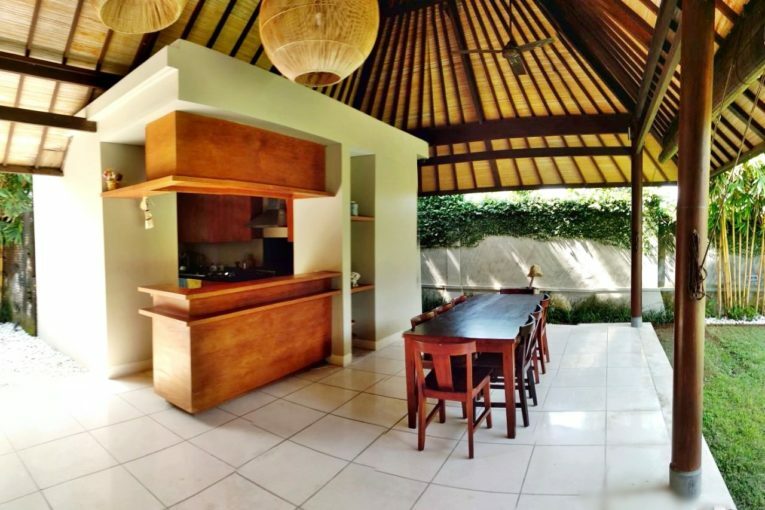 The open style living room is located in a separated building together with the kitchen.